I am of a generation that grew up in the 1960s. 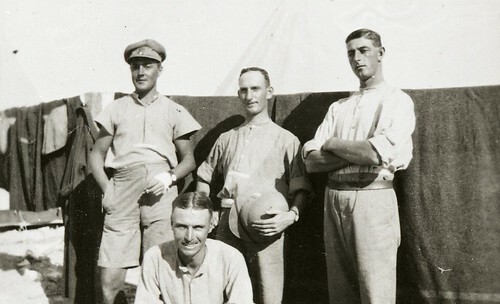 Military fashions worn in an ironic way were part of the fashion scene. 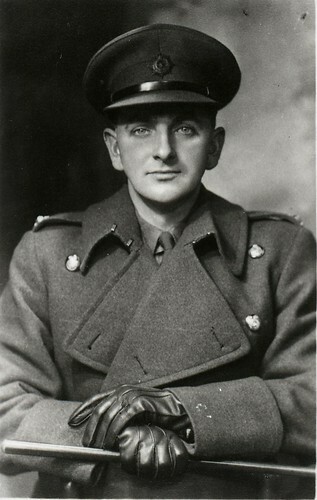 Sergeant Pepper, Portobello Road, Army and Navy stores, I Was Lord Kitchener’s Valet and antique clothing stalls on Kensington Market all provided rich pickings and style inspiration. Safari suits are still a fashion staple for men and women, turning up in different guises in designer collections. 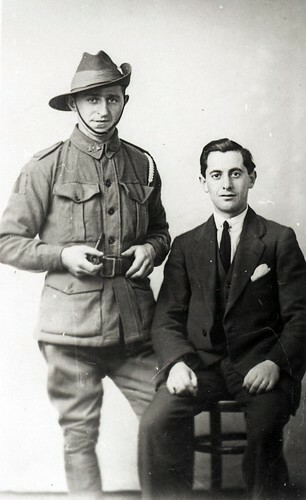 This image gives an idea of civilian and military styles of the World War One period, though the bush hat gives a colonial flavour to the uniform. 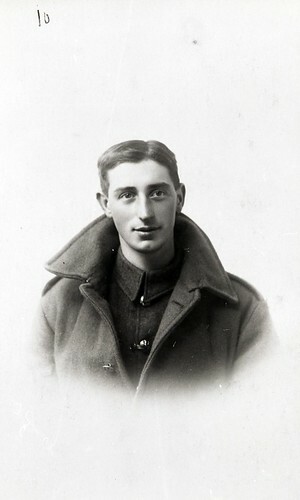 The trench coat was an alternative to the army uniform heavy serge wool greatcoats. Only officers and Warrant Officers Class One could wear them. They had to be purchased privately. Burberry and Aquascutum both claim credit for their invention. 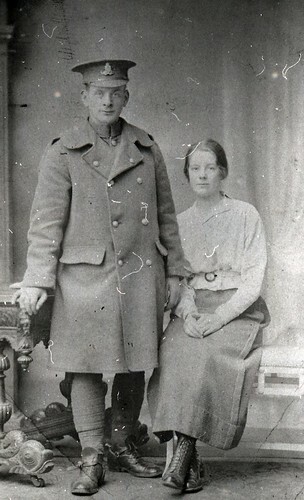 Styles developed to include belts, D ring fastenings, epaulettes and pockets, and the trench coat continues to be a classic fashion item for both men and women to this day. 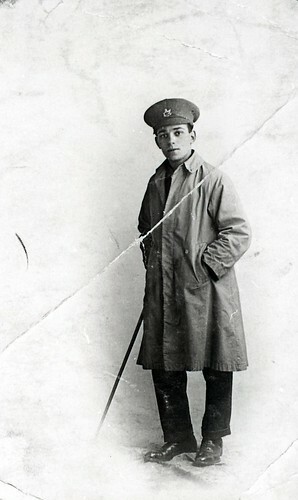 Some trench coat styles included capes, based on army issue. 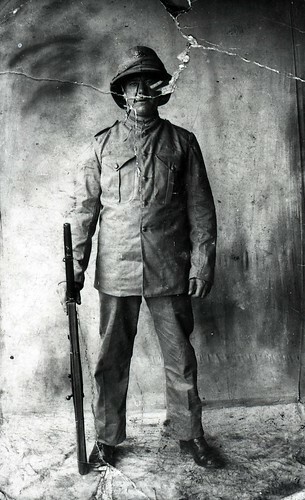 The uniform wool great coat worn in this studio photo is recognisable as the style of army surplus coat that continues to be worn as a fashion item by some teenagers to this day. 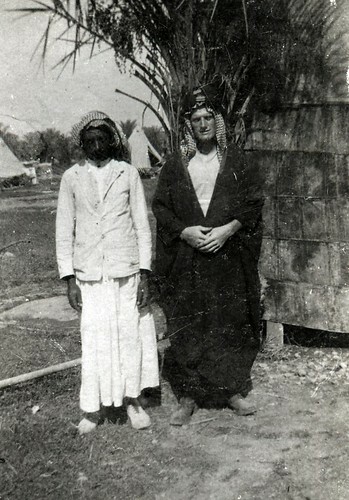 Heavy wool and waterproof uniforms were completely impractical in the Middle East. Army boots peep out from under native dress. 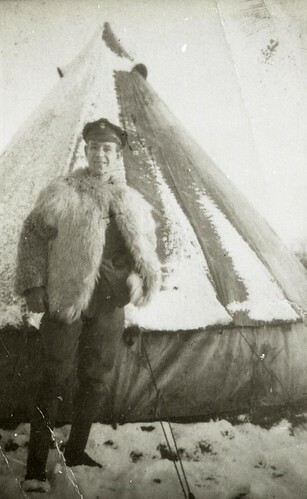 This amazing sheepskin waistcoat must have been a welcome piece of kit when it was cold, though completely impractical and no doubt smelly when wet. There’s no denying the stylishness of this Royal Marines dress uniform. And this great coat worn in a relaxed fashion looks equally flattering. 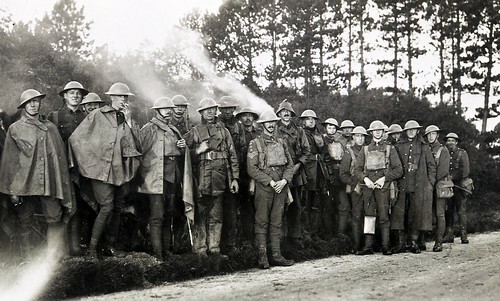 The great coat and trench coat became everyday clothing when soldiers kept them to wear once the war was over. Khaki shorts, grandad shirts and short sleeved vests are still worn when the sun comes out. 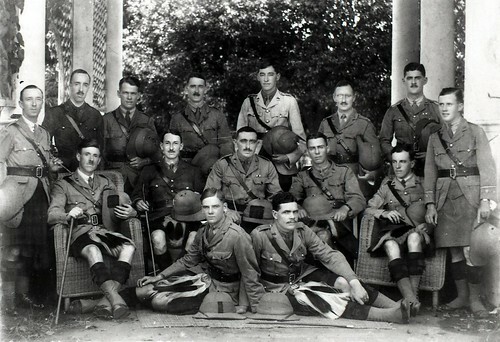 Kilts still have their place at weddings, and occasionally come round as a fashion trend. 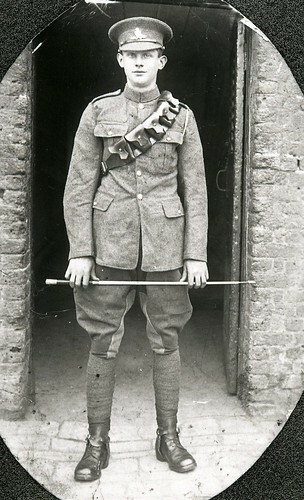 This soldier looks extremely smart with his leather gloves and cane. 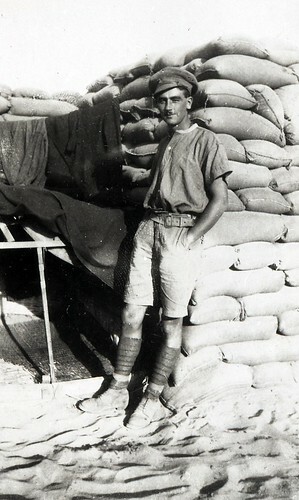 Jodhpurs may not be in fashion at the moment, but army style lace up boots are always popular. 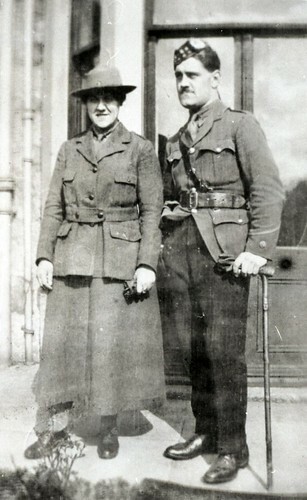 Women adopted military style dress alongside their menfolk. 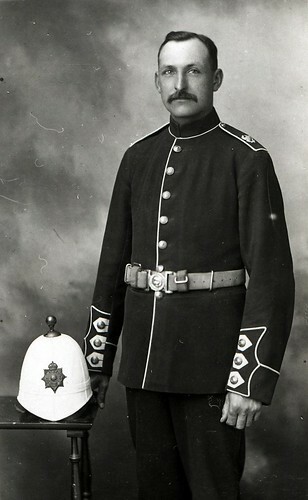 Not all uniform was fit for purpose! 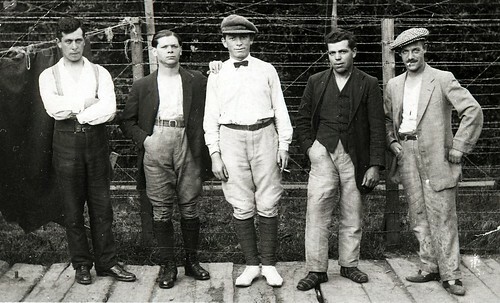 These men in an Isle Of Man internment camp provide a contrast to men in uniform. It’s a vintage work wear look that is continues to be popular now. 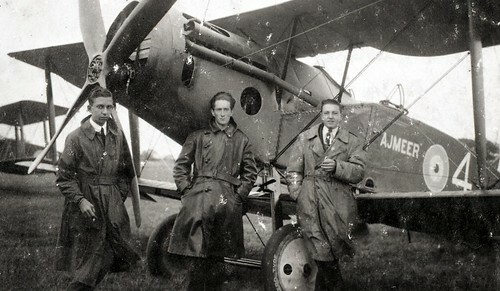 These fabulous leather flying coats have inspired fashion trends for a century. Take a look at the fashion magazines . Camouflage, leather belts, webbing and canvas bags, I can guarantee you will see military influences in style and materials. Maybe it’s time someone reinvented the puttee! These bandages used as gaiters were adapted from traditional Indian dress. The name comes from a Hindi word. 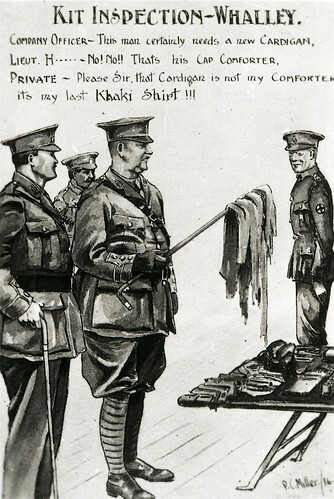 And did you know that khaki comes from a Hindi and Urdu word meaning ‘soil’? So the variations of shades of light and dark brown and olive green we are familiar with was a kind of camouflage colour. 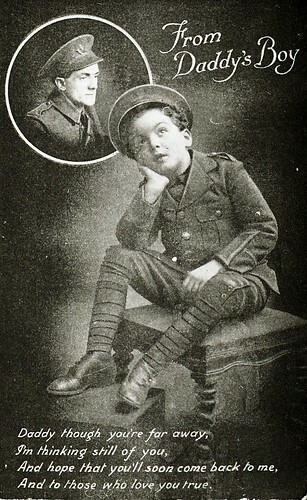 Previous Previous post: What was Morris Heaton’s War Story?